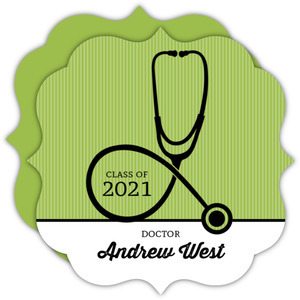 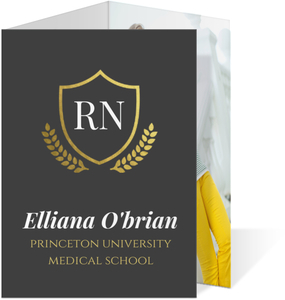 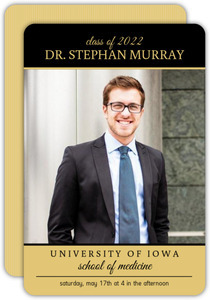 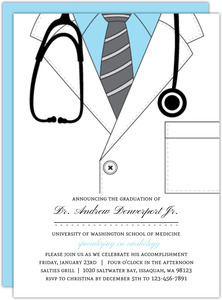 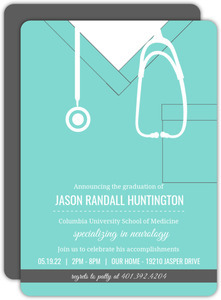 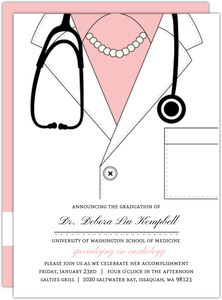 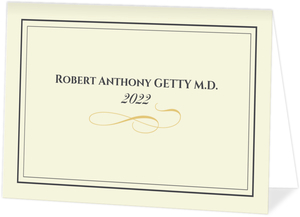 Medical School Graduation Invitations often are the fanciest cards you see. 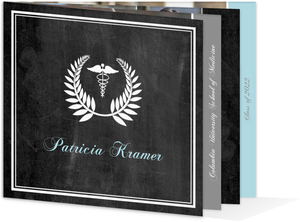 Glossy photos on rich papers, laid with gold or silver foil. 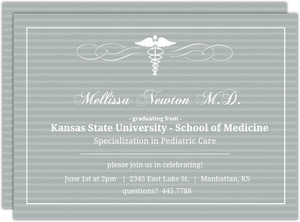 It's quite a spectacle to hold. 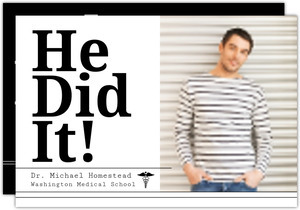 At PurpleTrail, that's what we accomplished. 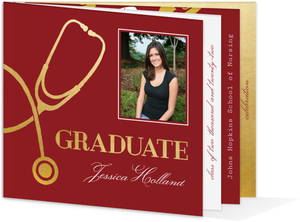 Beautiful, foil pressed cards, made with a photo of your choosing. 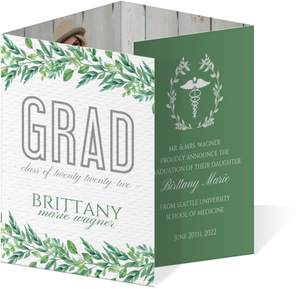 All you need to do now is choose a design you like, and get to making something great. 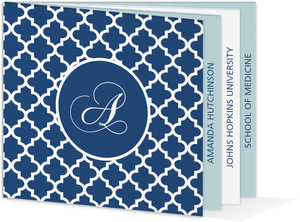 Not all of the cards have foil inlaid, you'll see that marked above the preview of the card on the product page. 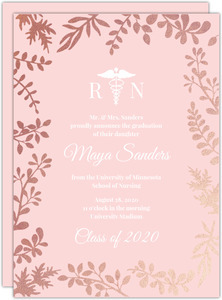 Foil stamps on the card do cost a little bit more, but it's worth it for sure. 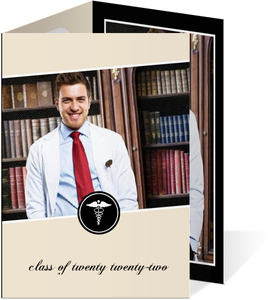 They add a glamour to the card that really shines. 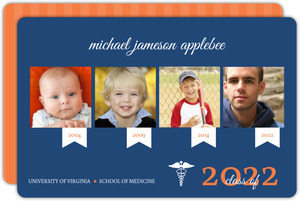 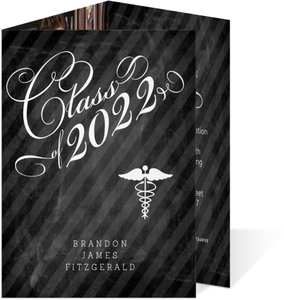 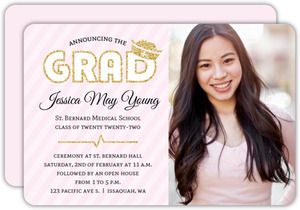 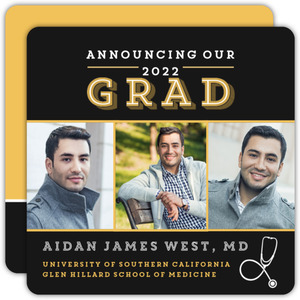 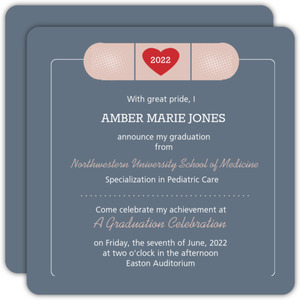 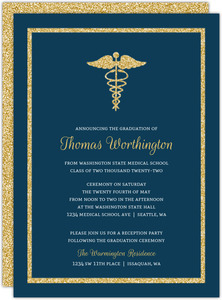 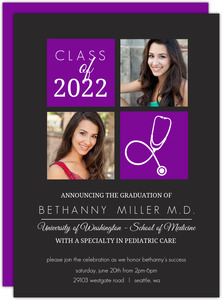 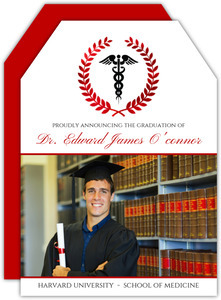 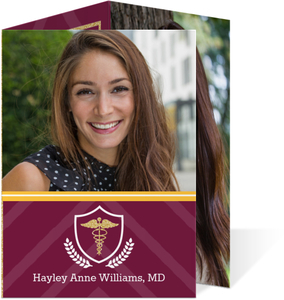 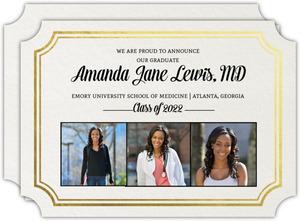 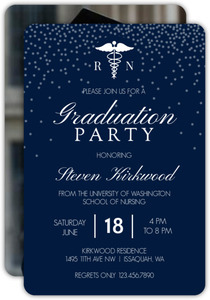 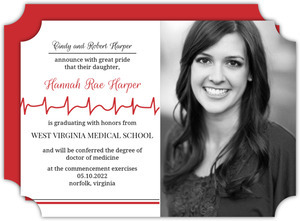 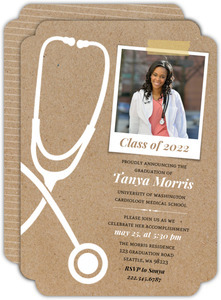 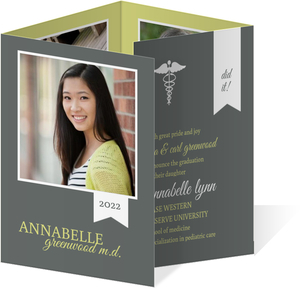 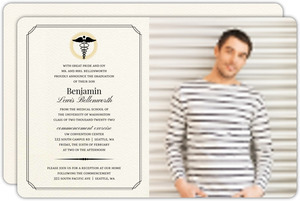 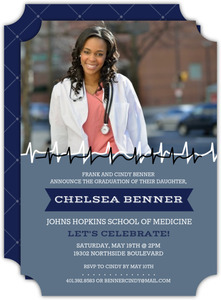 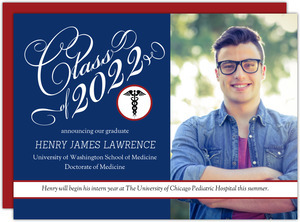 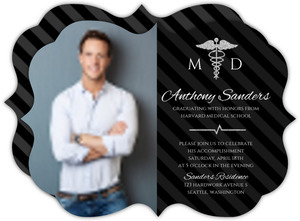 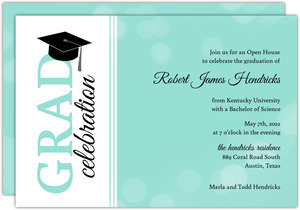 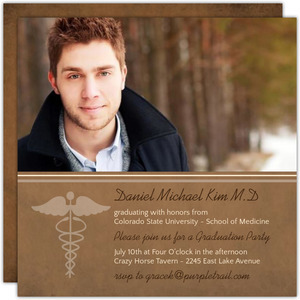 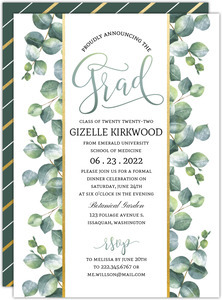 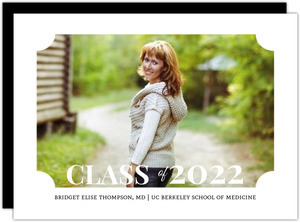 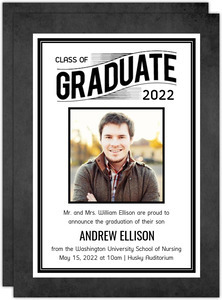 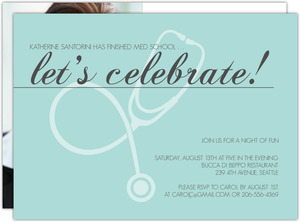 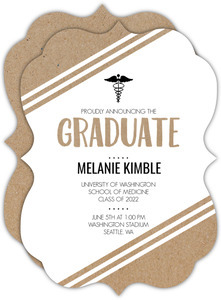 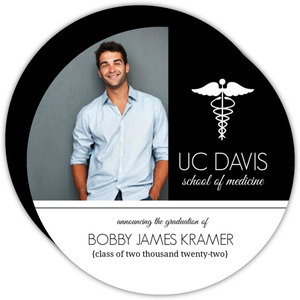 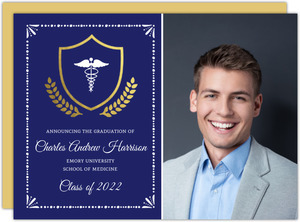 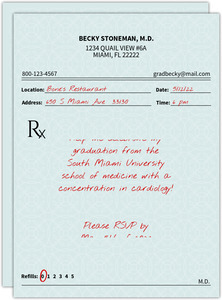 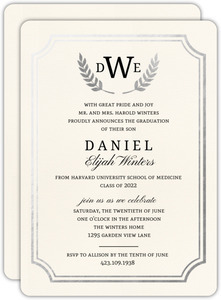 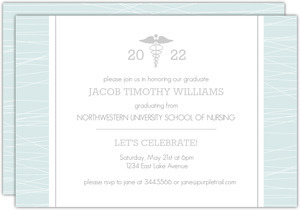 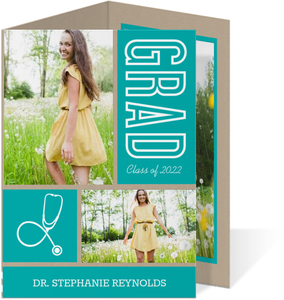 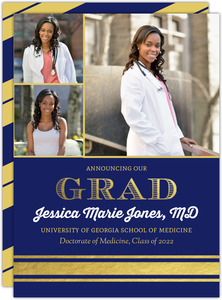 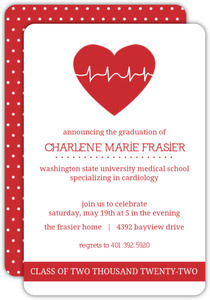 Medical school graduation invitations like ours can't be found on other sites. 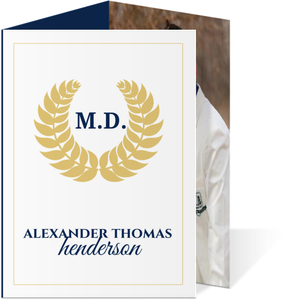 This is almost purely for the customization options that we give you. 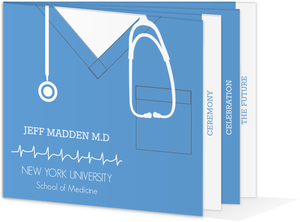 And while the foil I mentioned might be a restricted to certain things, the overall design of the card is not. 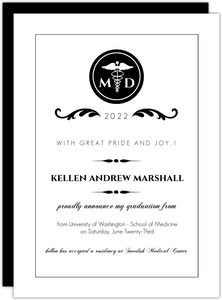 Have fun with it, there's a lot you can make.